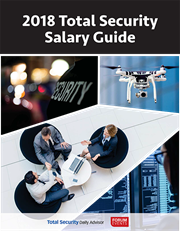 This Salary Guide includes not only salary and wage data, but also training, education, and certification information as it applies to 20 benchmarked exempt and nonexempt security positions. Fill out the form today to instantly get your guide! Total Security Summit is a complimentary business networking event catered to senior-level security professionals (Managers, Directors, and Vice Presidents), that will help you make the choices that will drive your business forward. Along with this download, you will receive a complimentary subscription to Total Security Daily Advisor, a daily e-newsletter of original and curated content.